He pulled down the box from the shelf I couldn't reach and put the tea set in my hands. "I want you to buy this," he said, "for someone else." So I took that tea set, with its cups and saucers and bought it, wrapped it, and gave it away for Christmas. 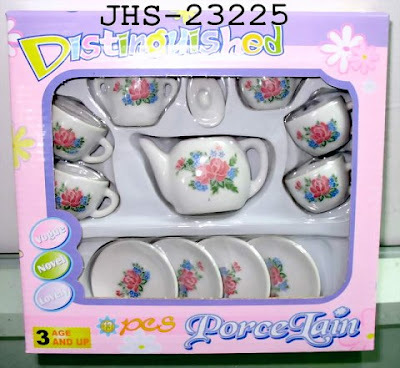 Of course, on Christmas morning I had that exact tea set under the tree, but for each Christmas he was alive, he made me buy that one thing I wanted most and give it to someone else. It has been an enduring lesson. Many blogs are suggesting Christmas gift ideas, so here are a couple that will continue to give, long after the decorations are down. I love my bees and chickens. They bring me great joy. 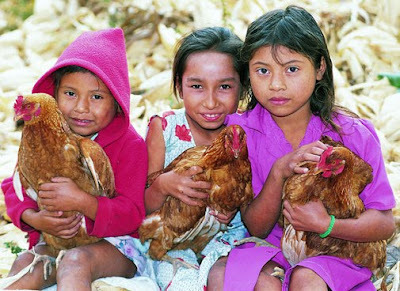 For women in many parts of the world, however, a flock of chickens or a hive of bees can be the difference in feeding their entire village. 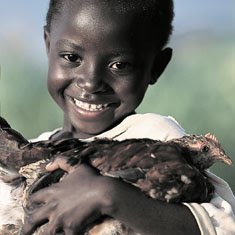 For a small contribution, Heifer International changes lives by providing livestock and seeds to struggling villages. Over at Pigtown Design, Meg works with kids who have suffered in ways that are truly unimaginable to most of us. In these tough economic times, the kids at Woodbourne could use a helping hand. If you have a favorite charity, dedicate a post to them this Christmas. And as for you, find that one thing you REALLY want and give it to someone else. Thank you SO much for the mention! I have been so humbled by everyone's support and help! These are marvellous projects to consider at Christmas and take ones mind away from the exorbitance of the season to what should matter most. I loved your tea service story but not sure about the rest! I have to tell you that, when I was about 5, my teacher told me to give away my best-loved toy to local children. I parted with Foggy, my beloved toy dog with the pink felt tongue and the green plastic collar, and to be perfectly honest I subsequently never forgave her! It's a great idea in principle but it scarred me. I hope the children loved it as much as I did!